It was homecoming day and Senior Day at Archbiship Curley on Saturday when the No. 9 Friars hosted the No. 7 Gilman Greyhounds in a hotly contested MIAA A Conference soccer match-up. Both teams are locks to make the season ending playoffs, so capturing three points for a win becomes the objective in order to obtain a home game when the playoffs begin, a week from Monday. On Saturday, both teams left the field with one point each, after they battled for 100 minutes (two overtimes) to a 1-1 tie. There were even more similarities on Saturday. Both keepers were outstanding, and both teams scored on penalty kicks. Senior Anthony Dragisics scored Curley’s only goal on a first half penalty kick. The Greyhounds (12-4-2, 9-3-2 MIAA A) countered with 2:06 left in regulation, after a Curley foul in the box, when Luke Unger fired his PK into the twine. Both coaches believe their team had opportunities and both expressed that the draw was a fair result. “I was impressed with Curley,” said Gilman coach Jon Seal. “They were coning off an emotional win over McDonogh, and we knew we were going to get their very best. Our kids showed a lot of guts and character coming back. I thought we had a lot of chances in the second half, and we got that penalty kick call just like they did. “Barry does a great job with his group every year. They’ve only lost here once (this season) and it was to Loyola, so to come in here and get a point is a credit to our kids..
Curley coach Barry Stitz lauded Seal’s team, in turn. “Gilman is a tough team to play. They play hard, they are very organized. It’s hard to break teams when they’re that organized and when they play that hard. Both keepers are young but played with the poise of veterans. Gilman sophomore Grant Farley had 11 saves, and Curley freshman Mike Caulkins had nine. “We had two or three chances when I thought the balls were in and he tipped them wide,” said Stitz of Farley. Dragisics said that Gilman has a brand of soccer. Farley was upbeat about the Hounds. Gilman sophomore goalkeeper had 11 stops to keep his team in the contest until the Hounds got a late equalizer and earned a 1-1 tie at Curley. With two league games to play, Gilman has 29 points and currently sits in second place. The Greyhounds, who play at St. Paul’s on Tuesday and close the regular season on Thursday at No. 1 Loyola, can finish no lower than third place. The Hounds are four points in front of No. 2 McDonogh (8-2-1), but the Eagles still have four full games to play, plus they must complete a suspended game with Archbishop Spalding. That’s a potential 15 more points they could earn, so McDonogh still has the inside track to the second seed. Curley has just one regular season game to play, Tuesday at home against Calvert Hall (7-6). Curley has a four point lead on the Cardinals in the battle for fourth place which comes with a home game in the quarterfinal round. The Friars could lock up that spot with a win or a tie and a loss by Calvert Hall in one of its other two games. With a win over Curley and a win over McDonogh in its finale, Calvert Hall could climb into fourth place. The Cardinals also have one eye over their shoulder at Mount St. Joseph (6-8-1). The Gaels will close their regular season next Thursday at Archbishop Spalding. If they get that victory and Calvert Hall fails to get any more points, St. Joe would jump up to fifth place and Calvert Hall will finish sixth. The A Conference quarterfinals get underway on Monday, Oct. 29, with the third seed hosting the sixth seed and the fifth seed traveling to the fourth seed. 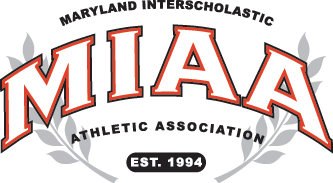 The semifinals will take place on Nov. 1 and the championship game game will be at Anne Arundel Community College on Nov. 4. Saves: GIL-Farley 11; AC-Caulkins 9.